Why Lecco? I have adopted Lecco and she has adopted me. I’ve been here for over 13 years and I am still discovering the history and beauty of this city. Alessandro Manzoni immortalized and personified the city in what is considered Italy’s most prominent literary works The Betrothed, (I Promessi Sposi) but Lecco has more than 19th century literature to offer. It has wonderful shopping in the historical city center, great plazas and cafes for people watching, a lovely promenade avenue (Il Lungo Lago) with breathtaking views of the lake and the distant Alps. The Lecchese are business minded, hence, the hospitality industry is well organized. There is quite a good selection of hotels and restaurants to choose from. Visit the Torre Velasco, Il Palazzo della Paura art exhibits, San Nicolo church and bell tower, take a cable car up and hike to Piano D’Erna. Varenna is one of the most romantic little towns along Lake Como. North of Lecco, it’s a unique, little village on the hills. Cobble stoned paths and staircases wind through the old town (remember to wear comfortable shoes!) . You must do La Passagiata d’amore , the Lovers Lane along the shoreline. Surrounded by quaint little houses upon hills, the ferry port is bustling with passengers commuting to and from Bellagio. Varenna is home to two gorgeous villas with botanical gardens; Villa Monastero and Villa Cipressi , both of which can be visited . Villa Cipressi is now a luxury hotel and restaurant (I had my wedding there!). The Vezio Castle overlooks the cove from the hilltop above Varenna and is a manageable hike up. You may know the Las Vegas resort, but did you know it was named and modeled after the Grand Hotel Villa Serbelloni in Bellagio Italy? You won’t get a better opportunity to visit the original! If five star accommodation is out of range, there are lovely B&Bs and apartment rentals. Bellagio sits at the Y of the lake and has spectacular views of the widest part of the lake and the Swiss Alps. Bellagio can be reached by car from the Como side or by car-ferry from Varenna . If you are travelling by train, go to Varenna and take the passenger ferry. Don’t miss the beautiful botanic garden at Villa Melzi, and take the time to wander around the city center for shopping and cafe hopping. If you are a cycling enthusiast don’t miss a hike or ride up to La Madonna del Ghisallo church, which is considered the patron saint of cyclists. Bellagio is also home to The Rockefeller Foundation, a truly inspiring place for the arts, humanities and educative advancement. You can take another ferry to Cadenabbia-Tremezzina and visit Villa Balbianello and Villa Carlotta. Lierna is an absolute jewel. It’s a tiny village just after Mandello del Lario and Olcio. It is the perfect honeymoon getaway, especially if you want to stay away from big cities and resorts. Easily accessible by train or by car, it’s a great location as a base for visiting the other nearby towns. Sottovento is a lovely, romantic restaurant right on the lake. The Mamma Ciccia Holiday Home (sleeps up to six people) has excellent reviews and I have heard very good things about the restaurant as well! When I think of Mandello, I think of ice cream! You can’t visit Mandello del Lario with out stopping for an ice cream sundae at Gelateria Costantin in Piazza Italia where the ferry comes in. For a good, home-cooked meal, visit Hotel Restaurant Grigna. Abbadia Lariana is the next town (a five minute drive) and has a wonderful beach park and a campground for nature lovers. Cernobbio often sits in the shadows of Como’s fame and popularity, but it is one town not to miss. It is the living image of what you imagine the Italian lake district to be. Opulent villas and gardens, cobble stone streets with shops and boutiques. A place of once-upon-a-time elegance and charm. Villa Erba and Villa D’Este are walks back in time. Splurge on a meal at La Veranda, they will make you feel like royalty. This area is full of hidden, noble villas. It is no wonder that Cernobbio is a popular area for destination weddings (you’ll need a wedding planner to book the exclusive villas). The lake’s namesake, Como sits at the southwestern tip of the lake. It is one f Lombardy’s oldest cities and the city center is surrounded by a stone wall built by order of Julius Caesar to protect the city. If you have ever used a battery operated appliance, you should thank Alessandro Volta, physicist and inventor of the electric battery (late 1700’s) and a native of Como. You can visit the Tempio Voltiano – science and history exhibit with Volta’s lab equipment. Also don’t miss: Duomo di Como (cathedral) , go to see an exhibit or get some summer sun on the Lido terrace at Villa Olmo, and of course roam the boutiques shopping in the historic city center. The Palace Hotel is in the heart of the city, walking distance to points of interest. If you happen to be there in winter, Como has a winning Christmas light display. A bustling hot spot for tourists but has not lost it’s picturesque quality. Menaggio can be reached by car, or if you travel by train, you must go to Varenna and then get a ferry (there is no direct train route). Once surrounded by a Roman wall, some ruins are still standing today. If you are a golf enthusiast, this is a lovely place to be. The 100 year old Menaggio Cadenabbia Golf Club offers visitors time on the course or lessons from local pros. Catch some rays at the Lido di Menaggio , or visit the Villa Mylius Vigoni (a conference hotel, but you can visit the villa and grounds). Every summer Menaggio hosts the Menaggio Guitar Festival a must see for acoustic music lovers. Quite understandable why Clooney chose this location as his getaway. Laglio is a little hard to get to but well worth the effort. It’s secluded and the people their mind their business. It’s not full of touristy attractions or resort hotels. In fact it is very low key with B&Bs and rental apartments. The restaurants are cute little nooks and the panorama is fantastic from this part of the lake. I bet you have never heard of Onno – Oliveto Lario! It’s a hidden little secret of our lake! There isn’t much of a town center nor shopping centers nor resort hotels, not even a train station. It is quiet and secluded. 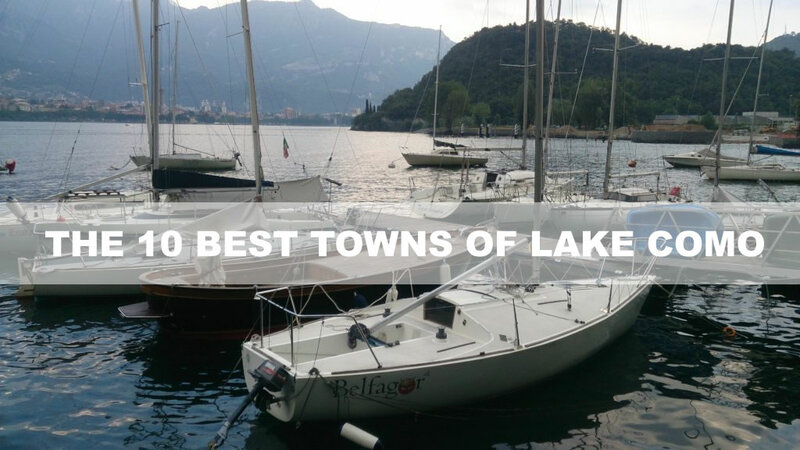 There are some rental properties or La Fornace Camping and it is a short car ride to Belaggio or Lecco. A lovely place to really get away from it all. There is a nice beach club at Juancito in Valbona, the town before Onno. In Onno there is the Pareo Club Onno, and you can find nearby bike and boat hire services.